Microban® antimicrobial technology is now an exclusive feature on SR's Medical Scales and has been added to help reduce the growth of bacteria on scales as part of a medical center's approach to creating a cleaner healthcare environment. 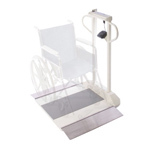 Scales are typically deployed throughout a hospital to weigh many patients on a daily basis. These scales are often moved and shared throughout the facility, which can promote bacteria growth on high touch surfaces. 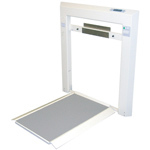 The Microban antimicrobial technology will be included in all SR medical scales including stand-on scales, wheelchair scales, and wall mount scales. 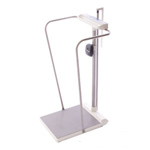 Surface areas that contain the antimicrobial protection include the platform, handrails, stanchions, display housing, keypad, and visible labeling. Microban protection begins to work as soon as a micro-organism comes into contact with the product surface. The technology then works continuously to maintain a consistently lower bio-burden than would be expected on a product without Microban protection. Microban International, Ltd is a global leader in antimicrobial technologies. The company's products have undergone extensive independent laboratory testing and have a long history of safe, effective use. Microban technology is registered with the EPA and regulatory agencies around the world. 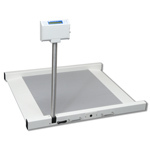 For more information, visit https://www.microban.com/sr-scales.